If you are thinking of purchasing a home or piece of property in Staunton, Virginia, consider allowing Virginia Estates to be your exclusive real estate guide. 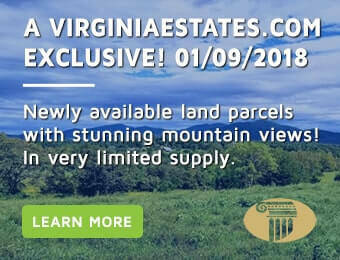 Virginia Estates – ” Virginia’s Finest Real Estate” – offers comprehensive real estate services, including extensive access to homes and properties in Staunton and the surrounding area. Staunton, Virginia is located in the scenic Shenandoah Valley, between the Blue Ridge and Alleghany mountains in Augusta County. It is a beautiful town with a long history. It has experienced a technological boom of late, and features many new businesses and developments. There is a concentration of biotech businesses in Staunton. Staunton is known for its downtown, which features five distinct historic districts. One of these is a is a 19th century “Main Street” community, comprised of Victorian buildings that date from 1860 to 1920. Strict building codes reinforce the districts authenticity. Both Mary Baldwin College and the Virginia School for the Deaf and Blind reside in Staunton, and employee significant numbers of the towns residences. Staunton features a wide range of real estate options. Unlike most nearby towns, it was spared the wrath of the Civil War and still boasts many homes and buildings built before that period. Some have been immaculately maintained, and offer the prospective buyer an authentic piece of early American history. There are single family residences and quaint communities throughout Staunton, which, with houses that range in size from modest to grandiose. Apartments, townhouses, and condominiums are also prevalent. Staunton features affordable housing prices, especially when compared to those of other nearby urban areas, such as Charlottesville and Northern Virginia. Most of Staunton’s earliest settlers were Scotch-Irish, including John Lewis, who built what is thought to be the areas first homestead in 1732. By the turn of the century the town was approaching one thousand residents, and in 1801 the Augusta Female Seminary, now Mary Baldwin College, was established. By the mid 1850s the Virginia Central Railroad had brought both people and commerce, making Staunton a significant transportation hub. In 1856 Woodrow Wilson, 28th president of the United States, was born in Staunton. He returned to town as president-elect in 1912 and was greeted with pride and enthusiasm. The ensuing celebration was probably the most elaborate ceremony in Staunton’s history. The Black Friars Play House is a popular destination in Staunton. It is a unique local playhouse, which does Shakespearean theater with a contemporary twist. The Frontier Culture Museum is a working 1800s style farm, which seeks to demonstrate and interpret the way farming was done for decades in the Shenandoah Valley . The farm is open for tours annually. The Woodrow Wilson Presidential Library celebrates the life and times of Woodrow Wilson and contains many of his original works. Gypsy Hill Park is multiple-use community park located in Staunton. It features an adorable children’s railroad, a duck pond, athletic fields, a golf course, swimming pools and more.